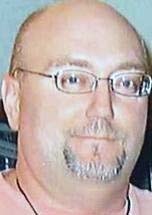 Dan Paul Bliton, 41, of Clarksville, Arkansas, formerly of Cedar Falls, died at his home Tuesday, November 6, 2007, in Clarksville. He was born May 17, 1966 in Oshkosh, Wisconsin, the son of Bruce L. and Darlene (Burns) Bliton. Dan was a 1984 graduate of Cedar Falls High School and received his Bachelor of Science degree in Forestry from Iowa State University. He worked for the USDA Forest Service as a TMA Forester/Certified Silviculturist. Survivors include his mother, Darlene Nelson and step-father Justin Nelson, of Cedar Falls; a brother, Mark Bliton, of Torrance, California; a sister, Susan (David) Klousia, of Mason City, Iowa, and a niece, Elizabeth Klousia, of Mason City. Memorial services will be 11:00 am Friday, November 16, 2007, at Nazareth Lutheran Church in Cedar Falls, with inurnment at Oakland Cemetery in Janesville. Memorials may be directed to the family.